The giveaway is now closed. Thanks for all the comments. The lucky winner is Jenny. Since her two girls share a room, she convinced me to make a letter for each of them. I’ll post those soon. Welcome to the first Jewels at Home Giveaway! 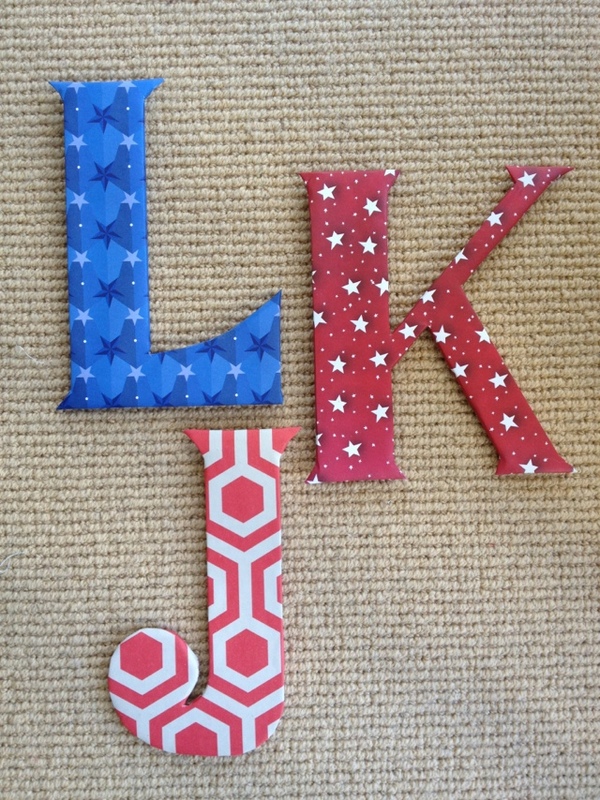 Remember these custom oversize initials I made for the kids’ rooms? DIY paper-wrapped wall initials for my boys’ rooms! 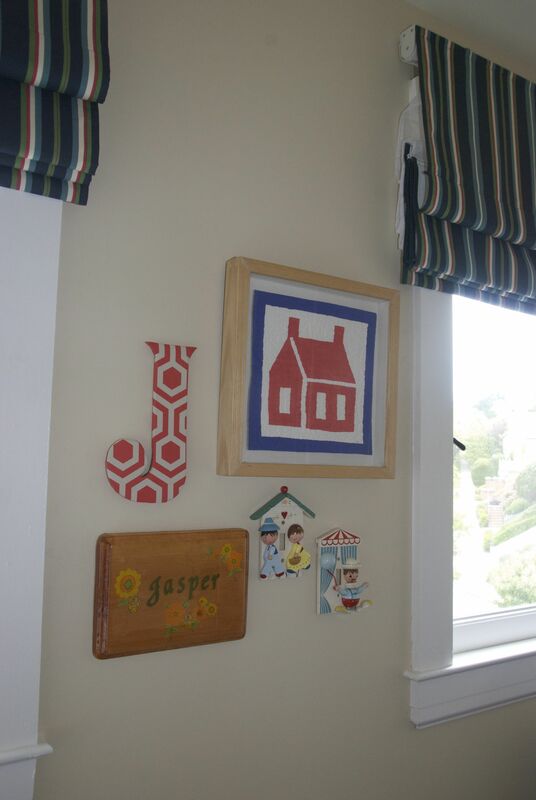 “J” mixing nicely with some whimsical accents in the nursery. Well, this month, I’ll make one for a Jewels at Home reader! They are 9″ high, and you can choose the letter (duh! You mean, you don’t all want “J”s?) and color. They are great for the wall or for a door. To enter, just comment on any post (why don’t you try exploring the blog and comment on a post besides this one) between now and May 15. I’ll get the winner’s letter in the mail to you by the end of the month. By the way, I promise not to use your information for anything other than sending the winner a letter – no spam, no sharing of your information. I just want to thank my readers and encourage you to keep reading and sharing your ideas, too. Thanks for all your support. It has been a fun first month!